A survey conducted earlier this year by protection specialist Royal London, has found that 58% of people in Ireland know someone who has been affected by mental health problems. The iReach survey of 1,000 participants throughout the country asked whether or not they know a close friend or family member that has been affected by mental health issues. The findings are in line with statistics from the Healthy Ireland Survey* by the Department of Health, which reported in 2016 that 52% of the population have had some experience of people with mental health problems. The report also found that 10% of the population indicated that they themselves had experienced a probable mental health issue. Although the World Health Organisation reports** that one in four people will be affected by mental or neurological disorders at some point in their lives. The Royal London survey also found that more females than males, 64% as opposed to 52%, know someone who has been affected by mental health issues. Similarly, the Healthy Ireland survey found higher levels of negative mental health among women. “Obviously mental health is a genderless issue that affects everyone. But studies have shown that it can affect men and women differently. For instance, depression and anxiety are more prevalent in women than men. The Royal London survey also found that amongst 18 – 34-year olds, 61% know someone who has been affected by mental health issues. This is in line with research from the Royal College of Surgeons in Ireland (RCSI) *** which found that young people are increasingly at risk of suffering from mental health problems. The RCSI’s 2013 report on the mental health of young people in Ireland, found that 19.5%, or almost 1 in 5, young Irish adults aged 19-24 years were experiencing a mental disorder at the time of its study. Anxiety disorders were found to be the most prevalent type of disorder within this age range, followed by mood disorders. 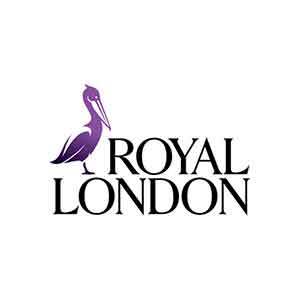 With an older demographic, the Royal London survey reported a comparatively smaller percentage. Of those aged 55 and above, 47% knew of someone close to them affected by mental health issues. “Enormous work has been done in recent years by many organisations such as Pieta House and Shine in supporting people with mental health issues. There is less and less taboo about speaking out and seeking help. People are becoming increasingly educated and aware about mental health issues and awareness events and the increased availability of information and support online and in workplaces are very positive”, Colette went on to say.